Situational prevention in Lyon – a pioneering policy. One of the objectives of the COST action Crime Prevention through Urban Design and Planning is to produce a series of publications and make them available to a broader audience. We are happy to present this time the case study entitle: “Situational prevention in Lyon – a pioneering policy”. You can download it directly here or by visiting the download centre and searching under “results”. Lyon’s situational prevention system is a pioneering policy. It is widely recognised as a leading example of its genre in France, by virtue of its innovative, multi-disciplinary nature, its partnership basis and its project-based approach. This policy provided much of the inspiration for the new law introduced in 2007 covering the whole of France. 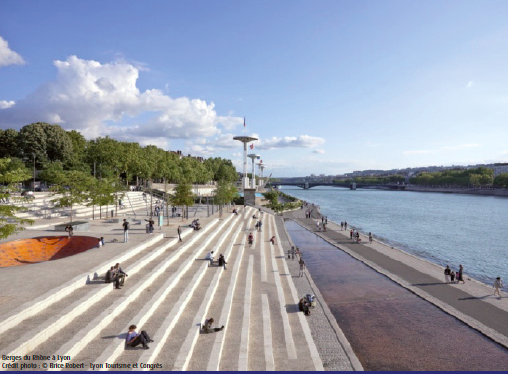 At first formalized within a partnership committee, the analysis of the safety of the projects and the equipment of the City of Lyon is broadcast little by little in the culture of the planners. Of course, it is necessary to remain watchful because this culture remains the fact of some convinced people. Today, the manners to raise the subject is to enter by a sensitive approach of the public place, by diagnoses by walking which highlight the needs for the inhabitants.